If you’re trying to wade through all of the personal injury stuff on your own, chances are good that you’re overwhelmed. That’s what this series is actually all about. I’m trying to cut through the myths and really tell you what you need to know about personal injury. If you are looking at this information so that you know what you’re talking about in front of a lawyer, this is a good thing. However, if you’re going to try to go it alone, this is definitely not the best option at all. The reality is that you cannot go through personal injury on your own. Well, I should correct myself: you can, but it’s not going to be your best option. In fact, if you want to get thrown the flimsiest little compensation package possible, then go it alone. The insurance companies are more than happy to handle that request for you. That brings us to today’s topic — just what do insurance companies really have to do with personal injury? Many consumers have grown to realize the role that insurance companies have. I’m not trying to beat up on insurance companies at all. They really do provide a good service that everyone needs. However, they do operate on the basis of risk management. In other words, they want as low risk as possible. The minute that you start doing things to change your overall risk profile is when things start getting really weird. What you have to do at this point is look at how risky you really are. If you’ve been in an accident, the number one thing the insurance company of the other party wants to do is pay you as little as possible. The more that they have to pay out, the less profits that they will be able to take in overall. You might get angry at this, because your case is important to you. However, the insurance company has to deal with thousands of cases every single year. If they were to just give you the max amount on every single case, they wouldn’t be making good profits in the long run. Shareholders dictate the company’s need to seek out maximum profits and the employees do as well. If a company isn’t making money, they aren’t going to be able to hire anyone at all. The best thing that you can do is know what type of risk profile you really are. From there, you also need to know what type of compensation you really are entitled to. If you guessed that I’m about to mention an attorney again… you’re absolutely right. The insurance company just isn’t going to be looking after your own legal interest. That’s when you have to make sure that you’re getting the protection that you honestly need and deserve. Why is this a bad thing, when you really think about it? It’s time to stand up for yourself so that you really can get all of the compensation that you’re entitled to. 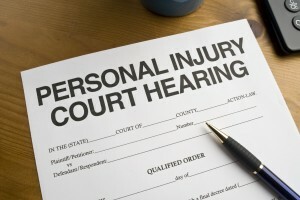 The best personal injury attorneys will also be able to take your case without an upfront fee. The fee will be taken out of the compensation that you’re awarded. This is a small price to pay to actually get the type of service that you deserve. Make sure that you sign up for an initial consultation (usually free) so that you know the merits of your own case. You have to make sure that you’re getting every last bit of what you’re entitled to, because the insurance company — and their claims adjusters — are going to make sure that they downplay what you’re entitled to as much as possible. Good luck!